Have you ever wanted to shoot a bow and arrow? Are you an experienced archer who needs a place to practice your shot? Located just outside of Brantford, Triggers and Bows is your local archery range. We welcome visitors of all ages, with something for everyone no matter your goals or level of expertise. For experienced archers or bow hunters looking for range practice, we have archery range memberships as well as youth and adult competitive leagues. For beginners or those looking to have some fun with friends, we offer archery lessons and rental packages as well as birthday parties and special events. With 10 lanes available in our state-of-the-art range archery range, everybody is welcome at Triggers and Bows near Brantford. Come experience the thrill of archery today! Triggers and Bows provides everything you need for a safe, fun and exciting archery experience. 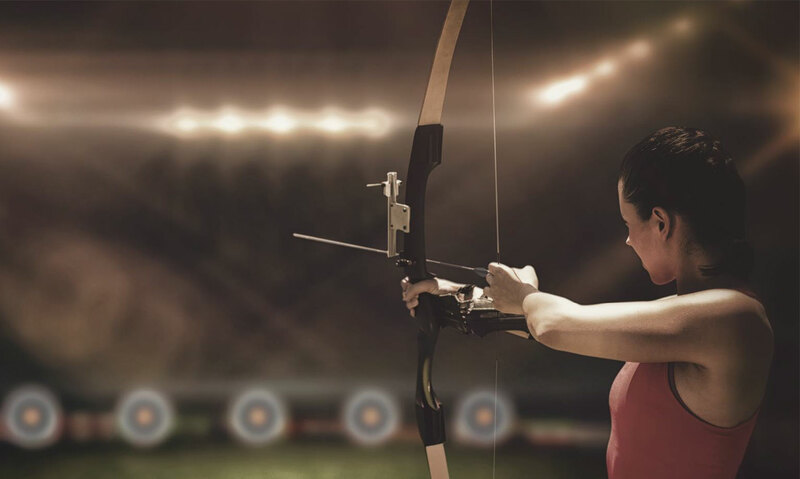 You don’t need to be a seasoned archer to join in the fun, we offer archery lessons and youth programs to teach you how to shoot a bow and arrow. Archery birthday parties and events also make for a great way to try archery, and an outing that won’t be forgotten! When you’re ready for some extra practice, why not join one of our youth or adult competitive leagues or sign up for a membership so you can have 24/7 access to our archery range? The archery range at Triggers and Bows has something for everyone, make the short drive from Brantford today to see for yourself. The PSE Theory™ FX competition recurve bow is perfect for the competitive archer. This bow has been updated with 3 new fade colour patterns for both right hand and left hand options and has kept the pro tuning features along with a pro look. Great design and features for an entry level price!